The IP68 waterproof smartphone OUKITEL WP1 has gone to market for a while and we have witnessed its capability of preventing water from invading into its body, ability to survive from dusts, bumps and falls. WP1 has a 5.5 inch HD+ display with an 18:9 aspect ratio, an octa-core MT6763 processor, 4GB RAM and 64GB ROM, dual-lens rear camera with Sony IMX135 sensor and 2MP secondary sensor, a front 5MP camera with GC5025 sensor, while the battery is 5000mAh battery, and supports wireless charge. 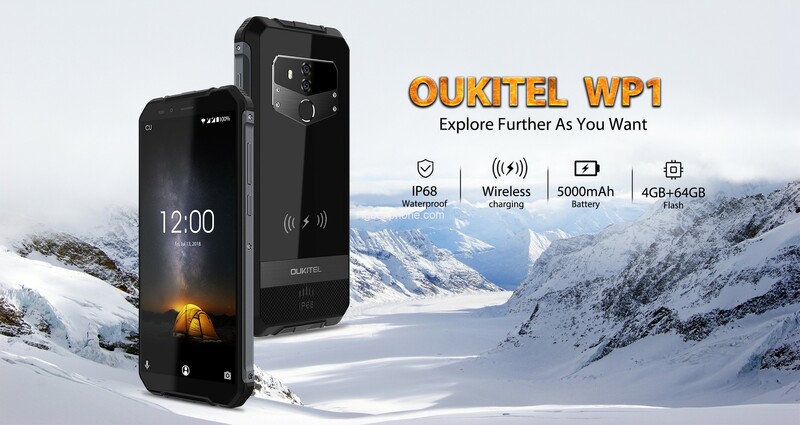 OUKITEL Lab tested its durability by daily life eating or drinking liquids, drops, falls and car crashes, refrigerator frozen and hot water soaking, sand and knife scratching, but this time WP1 was tested underwater. Meanwhile, WP1 is during promotional period to offer a special discounted price. WP1 was testing its antutu benchmarks underwater and got a comparatively high score of 84393. Although it was started above water and then running underwater, this indicates that if you want to watch movie underwater, it will play quite normal with no harm at all. WP1 was also bound to a string and throw it into a fish tank for half an hour, without any doubt, it was unharmed due to its IP68 waterproof body.